Because we know your time is valuable; we have the ability to schedule your repair appointment to insure you get in and out as quickly as possible. We also welcome walk-in and drop off customers too. 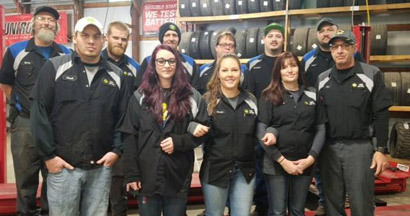 We are the only repair shop in the area fully staffed 12 hours a day, 7 days a week. We ask questions, provide information, and we never pressure anyone. Our non-commissioned sales team is here to help, not to sell. Senior Citizens (age 65 or older) and past or present military members get a 15% labor discount, every day. No coupon needed. Just ask. 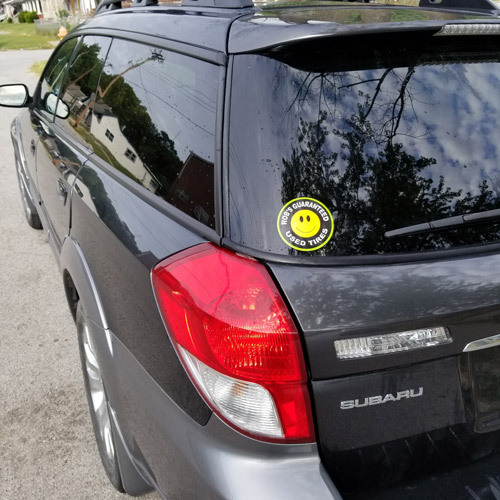 Our loyalty program extends to every vehicle proudly wearing our sticker (free stickers are available at the counter). Every vehicle with our sticker is entitled to buy one get one free oil changes and 10% off labor for everything else. A huge discount that can add up to over $100 per vehicle every year.